I don't usually buy into the heat-of-the-moment type trends like the recent hype on chokers, however, I could not resist these beautiful choker necklaces from Lulu Frost. They take chokers onto a whole new level... less punk, and way more elegant. And why wear one when you can stack on two? I am rocking the snake chain choker and the box chain choker, paired with a silky slip dress by Azalea, classic leather loafers by Everlane and a cute Coach bag. They are the perfect accessories for summer while keeping that minimalistic look! Snake chain choker c/o Lulu Frost. Box chain choker by Lulu Frost. 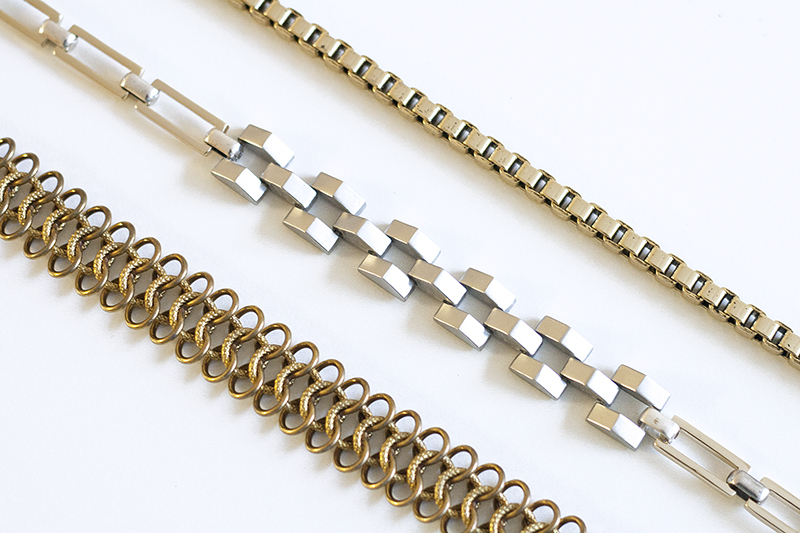 Grid chain choker by Lulu Frost. Silky slip dress c/o Azalea. The Modern loafers c/o Everlane. Mini Bennett satchel in bramble rose by Coach.